One way I like to start transitioning my wardrobe from summer to fall is to start introducing darker colors into the mix. This strappy spotted pink and black dress with these summery black heels does just that! 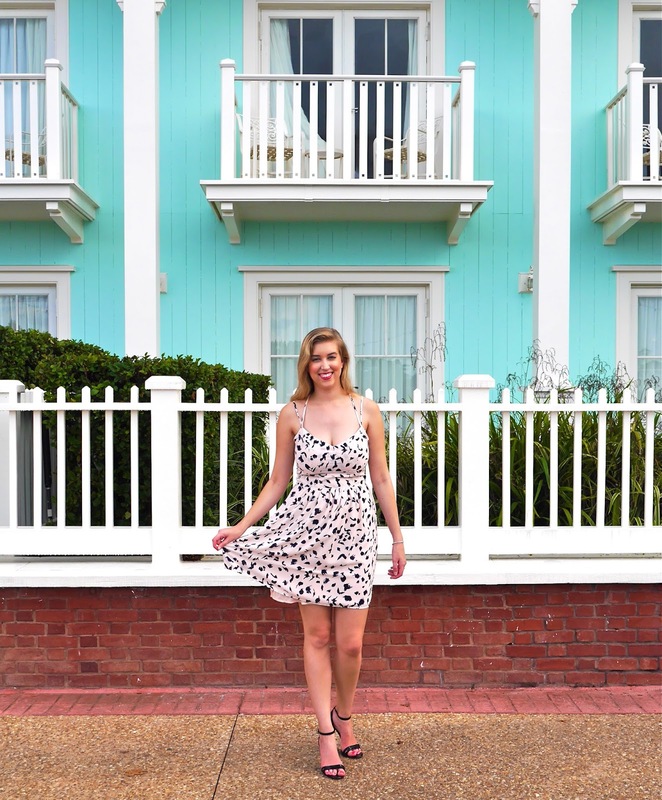 I got all gussied up in this pretty little dress and headed to Disney's Boardwalk to take some pics and grab a bite to eat!